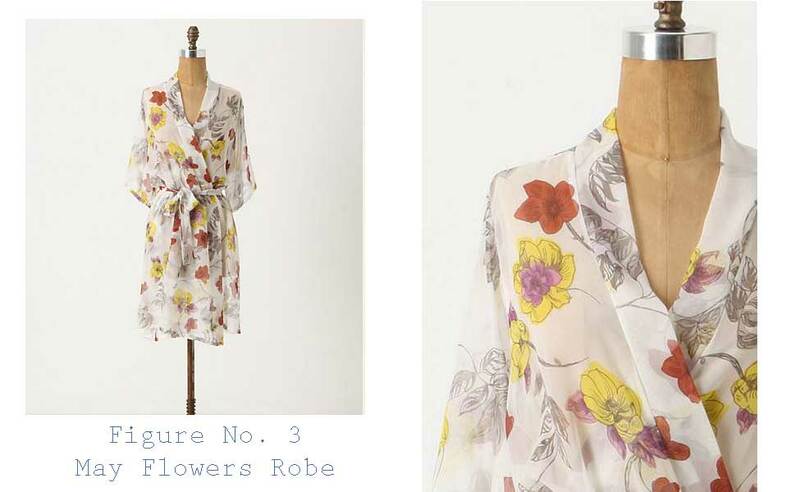 I love the idea of gifting your bridesmaids with luxurious robes. While you are all primping for the big day, you can be cozy and comfy in style! 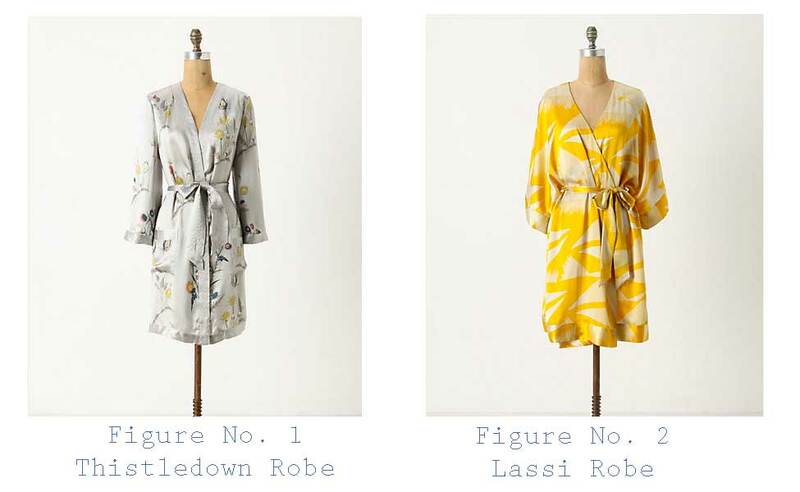 Personally, I’m a huge fan of the robes from Anthropologie…Swoonie McSwoon! Check these beauties out! I know, as a bride, we can get all wrapped up in the perfect dress, the perfect pair of heels, the perfect jewelry, the perfect undies, the perfect hairstyle and the perfect lipstick color. 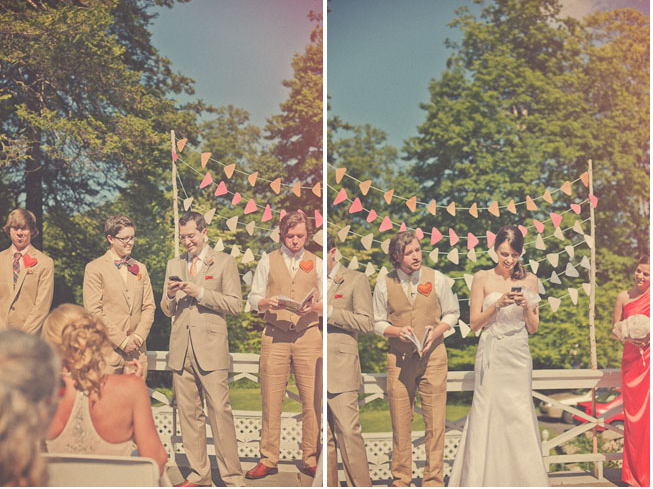 Our groom is usually relegated to just match… but he’s gotta look fly, right? Why not let him and his groomsmen show off a little style with his perfect pair of shoes too! 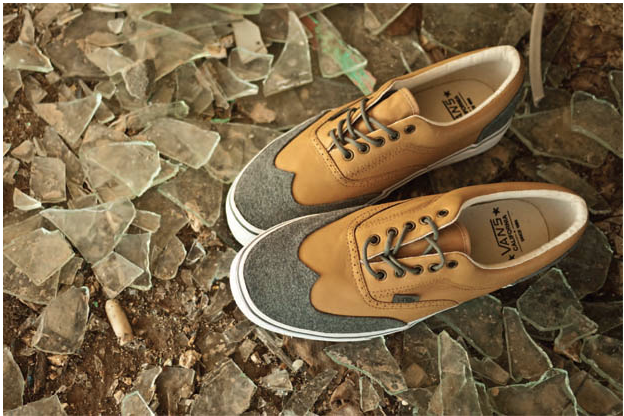 Well, VANS has done it again by creating a casual, but snazzy, California Era Wingtip. I’d say that is comfort and style, all wrapped into one! Please visit SantaFe.com, for the most current, interactive platform for events, music, arts, business, dining and lifestyle in Santa Fe. 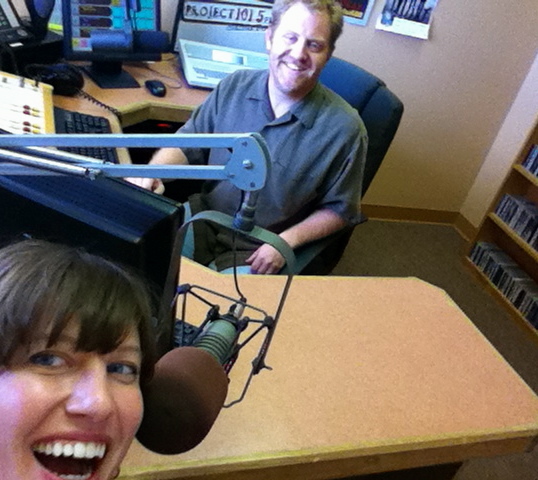 Here I am muggin for the camera after my radio interview on Project 101.5. I was lucky enough to be interviewed by Scott Matthews about my wedding blog, “The Hitching Post” featured on SantaFe.com Click HERE to listen to the interview and my super smooth microphone voice! Above is an inspiration board I put together for a couple who will be getting married at the Georgia O’Keefe Museum and then hosting a reception at the Inn of the Anasazi. With Georgia O’Keeffe as a quintessential part of the Santa Fe experience, we’ve decided to infuse as much of her as we can into the wedding. Framed black and white portraits of Georgia will be dotted throughout the reception with a few other cameos here and there. 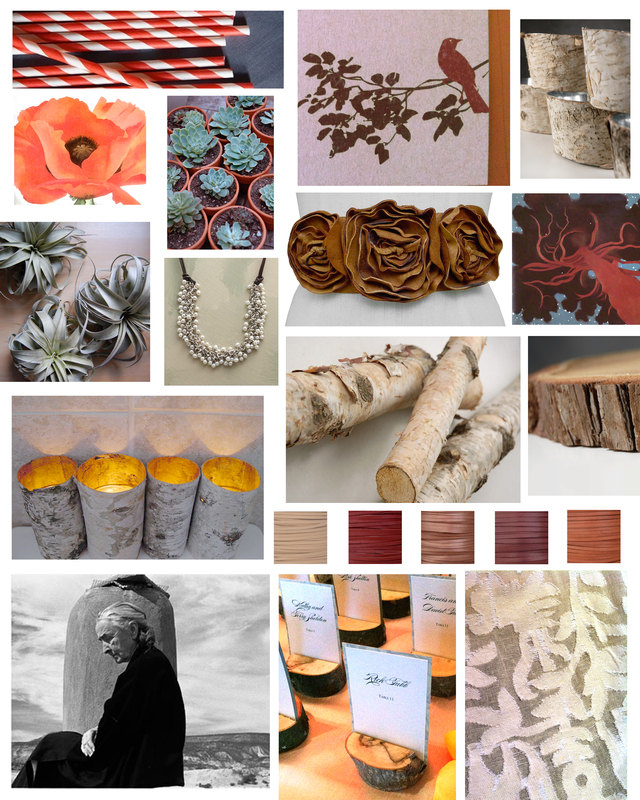 The decor will be chock-full of woodsy elements, a bajillion succulents and even some Aspen logs and Birch poles. (I can’t wait to show you the DIY project that we did with those!). The bride also found some seriously amazing accessories, like this leather flower belt on Etsy, so we decided to soften the textures with deerskin lace. It’s Rustic meets Southwest Elegance and I’m bursting at the seams to show you the final product. Till soon! You may not be surprised to hear this at a wedding nowadays. With social media becoming more and more a part of our lives, more and more couples are incorporating a “status update” into their vows. Slightly Completely irreverent, I personally think it is hilarious. I wouldn’t necessarily be cool with it for a church wedding, but why not tell all your friends, and their friends…after all, a wedding is a public declaration of your love for one another. What I’m really excited to see is how Twitter will become a part of weddings. I’ve seen Twitter proposals, but I love the idea of a Twitter guest book. By giving your guests a personal hashtag to use with all of their posts, like #BradLovesAshley, encourage phone use (!) and let them tweet the night away! How fun would it be to revisit all of the tweets that were tagged while your guests were witnessing a sweet ceremony, enjoying a delectible dinner, stuffing their faces with cake and booging down on the dance floor. I’m on a mission to make it happen, my digitally-savvy friends! Top ‘o the cake to ya! Loving this whimsical Shrine/Adobe cake made by the ever-fabulous Maggie Faralla of Maggie’s Cakes. 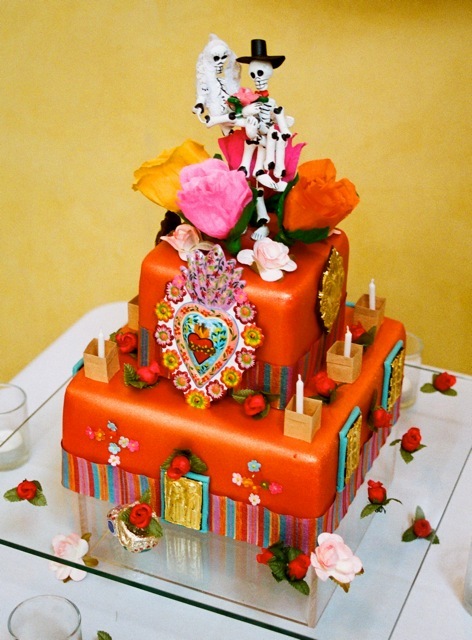 Topped with colorful folk art adornments like paper flowers, Milagros, and a Dio de Los Muertos bride and groom, it almost looks too fun to eat! I’m just tickled by the mini faralitos too; they are so perfect for Santa Fe! Rapunzel, Rapunzel, let your hair down… Or leave it up. A common question among brides, “Do I wear my hair up, or do I wear it down?” I always say planning a wedding is like a domino effect. One choice usually leads to another and in this case, when you choose your dress, often it will dictate the way you wear your hair. I stumbled upon a lovely article from BRIDES with several stunning options. 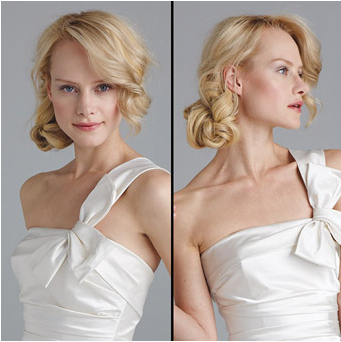 Whether you’re rocking a bateau, scoop neck, strapless or off the shoulder, they’re showcasing some fabulous styles. Click here to read the entire article. 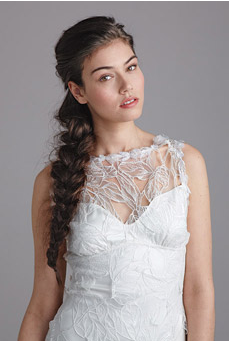 My favorite is the side braid, a very chic trend popping up on radars everywhere. 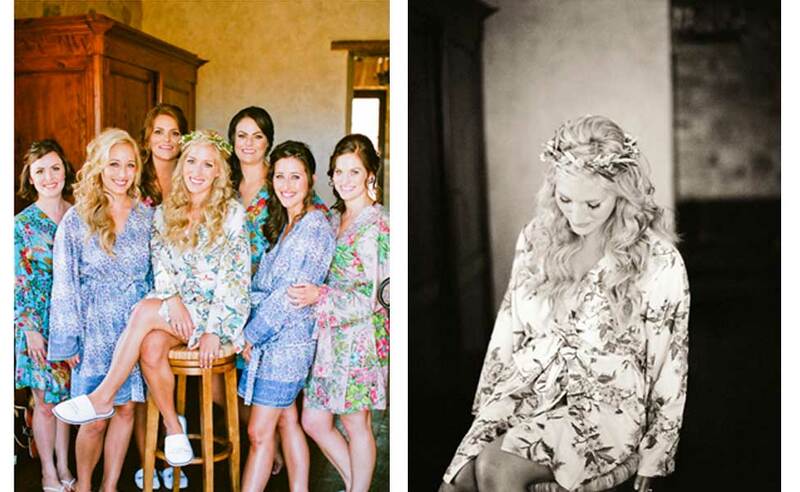 I think it embodies the laid back rustic vibe that Santa Fe weddings do so well! Another thing to keep in mind is Santa Fe’s lack of humidity. I know that in California, my curls are luscious and bouncy…but in the high desert, everything falls pretty flat. Take that into mind when you are contemplating doing your own hair. Sometimes the pros will know how to handle the fickle weather and make your locks look the best that they can!